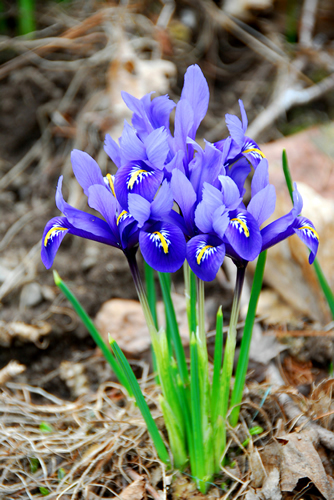 Orris root is the rootstock of the Florentine iris. It has the typical erect, basal, sword-like leaves. The flowers are white with blue veins, violet scented, the outer divisions fringed with yellow. Flowering time is from March through July. Plant likes full sun in deep, rich, well-drained soil. Harvest rhizomes in late autumn. Orris is obtained from 3 varieties of garden Iris known botanically as Iris Germanica, Iris pallida, and Iris Florentina. Grows in the Mediterranean countries. Orris root is native to Asia Minor, the Balkans, and Italy. The dried rhizomes have been used by herbalists for many centuries. Fresh, the rhizomes have little odor, but dried, they have a sweet scent of violets. The characteristic violet odor is gradually developed during the drying process and does not attain its maximum fragrance for at least 2 years. Used years ago to keep linen, blankets, wardrobes, chests, etc., fresh and smelling sweet. Orris has been used as the main ingredient in almost all the old-fashioned face powders, foot powders, sachet powder, dental creams, violet scented soaps and cosmetics, and pot-pourri. Orris root is used in treatment of dropsy and other water retention problems. It is also used sometimes for bronchitis, coughs, and sore throat; for colic; and for congestion in the liver. Relieves shortness of breath, resists poisoning, starts menses as a uterine stimulant, and reduces bruises if used externally. Commercial production of orris root is centered in Florence, Italy. Do not use during pregnancy, it is a uterine stimulant.